I luh God, don’t you love God?What’s wrong witchu? No seriously I love God, I believe in him, his beloved son Jesus. I LUH GOD! I also LOVE GOSPEL MUSIC!! Gospel music speaks to me, when I’m feeling low, lost, or just in need of a little more Jesus – I go on to Spotify and click that ‘Praise-n-Worship’ playlist. Gospel music born from the church, includes different genres and I believe the purpose of gospel music is for you to glorify God, praise him, remind yourself of his awesomeness, that he is there for you even during the dry and valley moments of your life, strengthen you, uplift you, help you converse with him, zen you, make you cry, make you joyous…gospel music is talking to God through music. I was raised Catholic and so Virgin Mary also has a dear place in my heart – I’ve said the Memorare prayer many a time. I’ve been a Sunday School teacher, I do not go to confession, I love my Catholic upbringing, I love my Catholic hymns BIG time, I also am a member of Hillsong Church..essentially am a proud Christian. I believe that we praise God be it with jazz music, rock music, pop music, r&b music, rap music, reggae, trap music..it is the message that matters, it is getting his word that matters, it is praising him that matters, it is dancing to him that matters NOT how the message is being delivered. 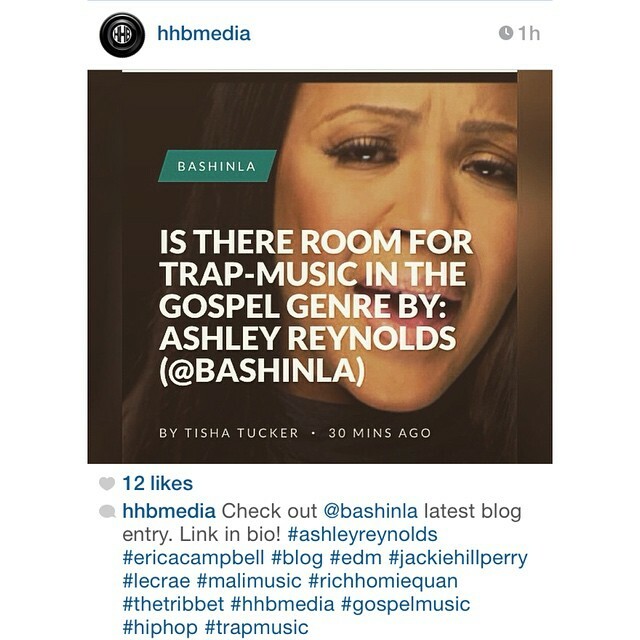 Erica Campbell of Mary Mary, Grammy winning Gospel artist has been catching a lot of flack from some Christians on how ‘I Luh God’ is a trap gospel song. Their problem being ‘trap music genre’ is meant for ratchet music like ‘Trap Queen’ (and I love Trap Queen because I have a special place in my lil music heart for all things ratchet). So maybe that’s why my ratchet ears have no qualms or issues but rather infact enjoy I Luh God , it is a song that has me dancing and loudly proclaiming my love for G.O.D. I love Erica’s HELP album…Help is my soong. 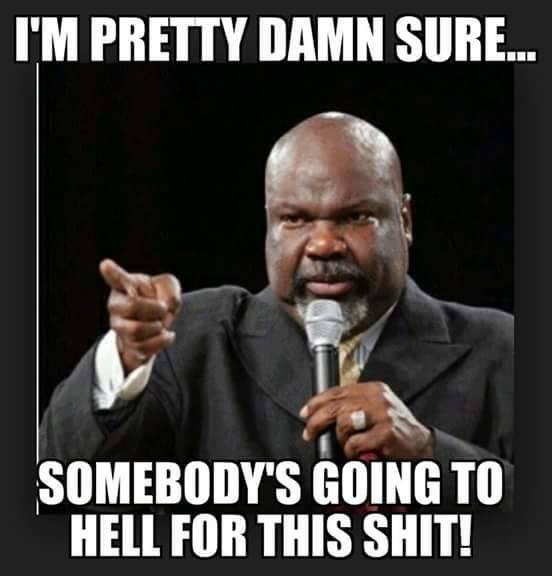 Christians sometimes see themselves an all exclusive members us-vs-them club where Mahalia Jackson, Hezekiah Walker and the Clark Sisters are the genres of gospel we should only listen to . How dare you use a genre that ‘the world’ plays and start glorifying ‘our God’, how dare you try to reach ‘the world’, how dare you even try to get young kids to sing along to such music? Same Christians have no qualms with sharing ‘cute’ videos on Social Media of 3 year olds rapping ‘I’ll be your Trap Queen’ but oh no how dare you upset us Christians by having an 8 year singing ‘I Luh God’ at a talent show, Christians don’t do trap music, you missed the memo at the doh? Also just in Erica Campbell’s defence – Shackles, God In Me, I Luh God all do not follow the seemingly stipulated by Pharisees 2.0 gospel music mould but those songs still make us dance, praise God and be unashamedly Christian. To be Christian means to have a relationship between YOU and GOD, it does not mean to set unattainable standards of ‘Godliness’ because you’re pure and saved and therefore be the most judgemental and critical person in the room because ‘I LUH GOD’. Your sin is not better than the next person’s sin just because you sin differently. Let God be praised and his name be glorified…so say it with me ‘I Luh God’. Firstly pardon me for this lengthy all over the place rant..but rants gone rant. Secondly, I do realise the underlying hypocrisy in this rant. For I might also come across as having judged those Christians who do not see my point of view, calling them Pharisees 2.0 because they choose to not want any part of having trap music as a medium for praising God…but hey that’s to be Christian right? The only point that matters in this rant is WE ALL LOVE GOD and really we should dance like Moses as we listen to I LUH GOD for I that’s what I will be doing!